Home > World > Is Walter White Really A Chemistry Genius? Is Walter White Really A Chemistry Genius? Fact-checking the science behind ‘Breaking Bad’s’ most memorable poisonings and explosions. After several months of mental warring with Netflix’s “Recommended For You” section, I finally cracked and started to rewatch “Breaking Bad.” Needless to say, my apartment now looks like a Jesse Pinkman hideout and I’ve begun relying on Hot Pockets for 80% of my nutritional intake. The show is addicting. But is it accurate? That interview, published in Chemical and Engineering News, was enough for a chemistry professor at the University of Oklahoma to offer her time and expertise. Though initially ambivalent, Dr. Donna Nelson warmed to the show after giving it a fair trial. From there, Nelson and Gilligan’s professional relationship blossomed like a lily of the valley. Nelson flew out to Burbank to answer a series of generic science questions — What makes someone become a scientist? — and then agreed to stay on as a script consultant. Writers would send her pages of dialogue, and she proved invaluable in addressing the accuracy or plausibility of the show’s more unlikely moments. So just how right did Gilligan and Dr. Nelson get it? 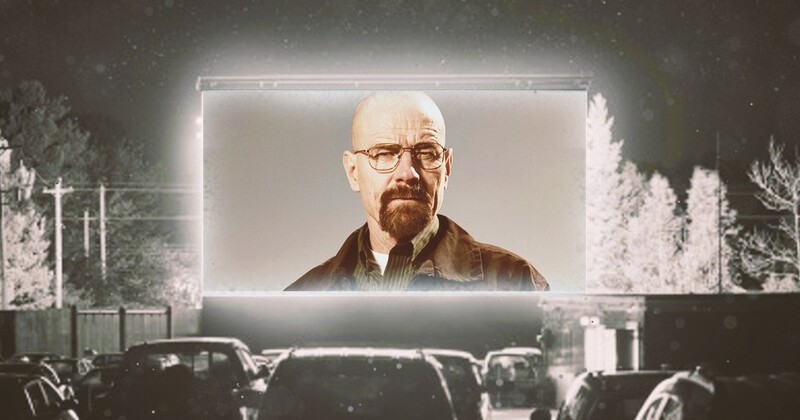 Let’s take a look at five science-y moments from Heisenberg’s storied career. One of the show’s first (and most memorable) Heisenbergian luck-outs was the risky plan to bomb Tuco Salamanca’s office. Thanks to an intel briefing courtesy of Skinny Pete, Mr. White knew Tuco’s henchmen would be patting him down. So what does he do? Whips up a super-unstable meth lookalike, of course! Walter’s grownup version of bang snaps — meant to incapacitate and intimidate the drug lord Tuco — are fulminated mercury crystals. Thankfully, Mythbusters already figured out the nuances of this particular chemical. Their verdict? The idea is sound — the compound is certainly explosive. But it looks more like wet sand than crystal meth, and Walt would have to throw it at the ground much harder to cause an explosion. Should that explosion happen, it would likely kill everybody in the room. The scientific liberties the show took with fulminated crystals meant that Walt could use them to stun Tuco and his henchmen and destroy Tuco’s office, giving Walter time to grab the rest of the mercury to wield as a threat. Heisenberg transitions from using pseudoephedrine to methylamine in his meth, which, viewers are led to believe, accounts for its trademark blue hue. Let’s chalk this one up to creative license. Walter White is always looking for a way to lower the cost of doing business, often in a brutally entrepreneurial fashion. His first (and least deadly) DIY moment was convincing Jesse they’d be better off stealing methylamine themselves than paying cat burglars a cool $10K to do it. Perhaps, had Walter been a real person, he would’ve worn safety goggles and retreated to a safer distance — maybe even brought some heavy-duty gloves to push the door open afterward. At any rate, his thermite is closer to the real thing than the fulminated mercury bomb. I would be remiss if my dissection of the show’s science failed to include Heisenberg’s favorite condiment. Initially synthesized from castor beans as a bloodless way to assassinate the volatile Tuco, ricin became the show’s Chekhov’s gun throughout its five-season run. But did Heisenberg wield this poison accurately? According to National Geographic, ricin poisoning can happen several ways: via ingestion, inhalation or injection. Injection is the most potent delivery method — Walt’s story about the KGB umbrella needle killing a Bulgarian is true — and results in the quickest death. But ingestion or inhalation (both ways Walt hoped Tuco’d take it) is a slow burn. Administer poison and let sit. Expect 36–72 hours for death to set in. The show gets ricin mostly right; I’m just not sure Walt was accounting for the fact that Tuco could get a lot done in 36 hours, even with some uncomfy side effects. If we don’t excuse this scientific mistake, though, we’d be left with no “Breaking Bad” at all — Walt and Jesse’d be dead out in the desert by the end of Episode 1. I’m going to give this one a free pass because Vince Gilligan and his writers were still basically Googling stuff like “phosphine gas deadly?” at this point — Dr. Nelson wouldn’t come on board for another five episodes. Even Accounting for TV liberties (the blue meth is a good plot device), “Breaking Bad” does a decent job of adhering to basic scientific tenets. Does it exaggerate? Sure. But the show is about a high school chemistry teacher becoming a murderous, multimillionaire drug kingpin. If we’re willing to buy that, we can let a little fulminated mercury slide.